CUSHIONED SEATING FOR BANQUETS, WEDDINGS, DINNER PARTIES AND FORMAL EVENTS. INCLUDES EITHER A WHITE, HUNTER OR IVORY CUSHION. CUSHIONS COME IN SEPARATE BAGS. HIGH BACK, NON FOLDING CHAIR. CAN HOLD UP TO 400 LBS. ALSO AVAILABLE IN SILVER, GOLD OR MAHOGANY. EASILY ATTACH A FABRIC SASH FOR AN ADDED SPLASH OF COLOR AND ELEGANCE. PRICE SPECIAL FOR ORDERS OVER 100: $6.50 EACH. 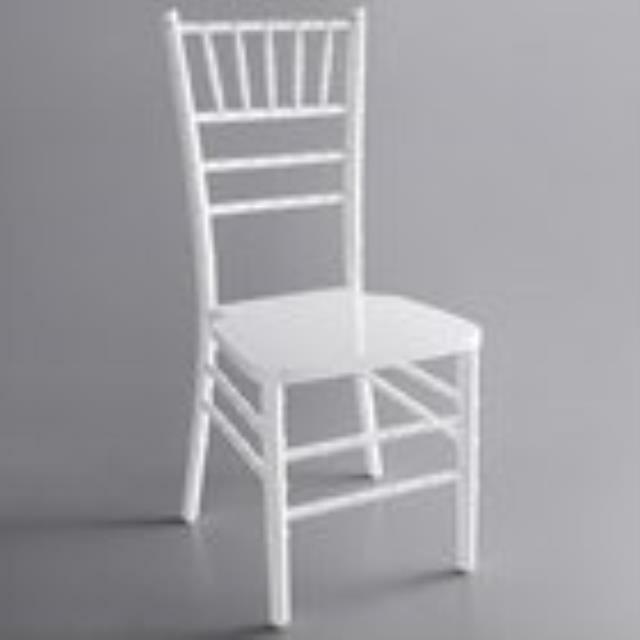 * Please call us with any questions about our chiavari chair white rental in Baltimore Metro area.